The Rights of Manoomin are modeled after the Rights of Nature, recognized in courts and adopted internationally for the last decade. In 2008, Ecuador became the first country in the world to adopt Rights of Nature articles into its national constitution. Soon after, Bolivia passed the 2010 “Law of Mother Earth.” This phenomenon is not exclusive to Latin America; in 2016, the Ho Chunk Nation in Wisconsin became the first U.S. tribe to adopt the Rights of Nature, and in 2017 the Ponca Nation in Oklahoma became the second. The Rights of Manoomin, which reaffirm the Anishinaabe relationship and responsibility to the plant, are groundbreaking. “This is a very important step forward in the Rights of Nature movement. This would be the first law to recognize legal rights of plant species,” says Mari Margil, associate director of the Community Environmental Legal Defense Fund (CELDF). White Earth and the 1855 Treaty Authority worked with CELDF and its International Center for the Rights of Nature to develop the law. 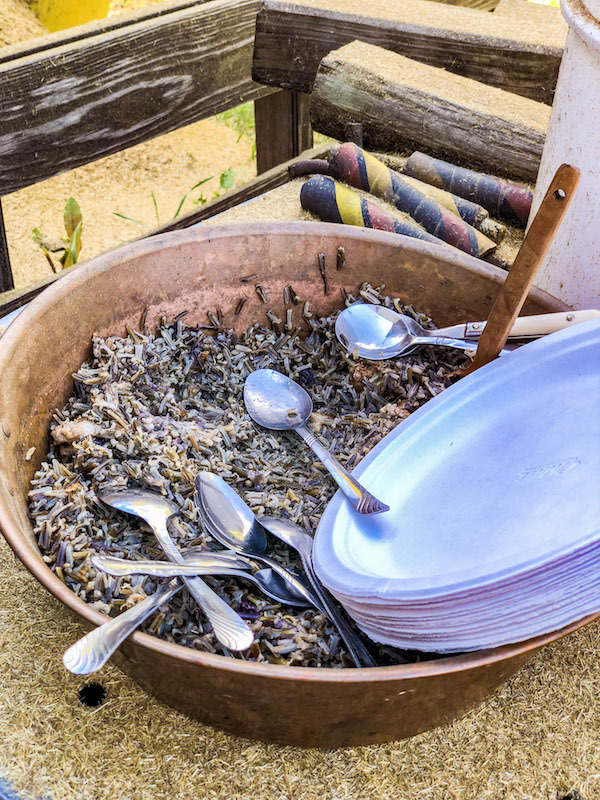 The Rights of Wild Rice reaffirm the Anishinaabe relationship and responsibility to the plant, and the sacred landscape of wild rice and traditional laws. Wild rice is also the only grain explicitly listed in a treaty as a guarantee. The Rights of Manoomin also provide for enforcement. The law declares it illegal for any business or government to violate the Rights of Manoomin, and invalidates any permit, authorization, or activity that would allow those rights to be violated. Offenders will be punishable under tribal law and held financially liable for any damages to the Manoomin or its habitat. The law grants powers of enforcement to the White Earth Nation and to the 1855 Treaty Authority, and it prohibits law enforcement personnel from arresting or detaining those directly enforcing these rights. The 1855 Treaty Authority ordinance explicitly grants individual tribal members the right to take non-violent direct action to protect the rights of Manoomin in the event that the tribal authorities fail to do so. 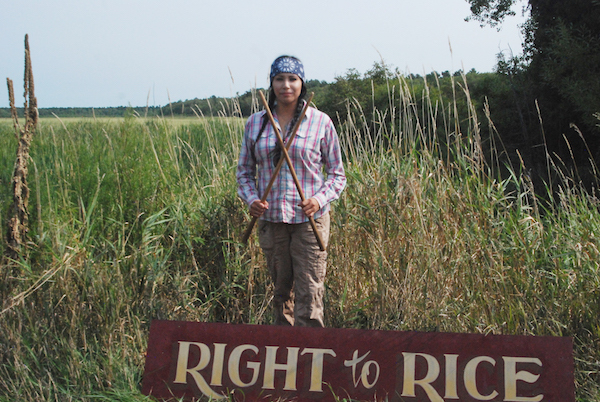 Since the 1855 treaty was signed 165 years ago, state and federal mismanagement has caused significant damage to Anishinaabe wild rice, waters, maple trees, and prairies. Over 70% of the original wild rice territory is now damaged, with more currently being threatened by recent proposals to change sulfate standards to accommodate new mining and pipeline projects. Ultimately, these actions threaten the very existence of wild rice. At the turn of this past century, the Anishinaabe successfully battled against University proposals to genetically engineer wild rice, arguing that not only did the treaties provide for wild rice--not rice delivered in a sack by the government, as then Minnesota Chippewa Tribal President Norman Descampe would argue--but also for wild rice harvested from lakes of the Anishinaabe. In U.S. case law, corporations are protected legally because they are considered natural persons by law. In the meantime, much of the “commons” or natural world including water, sacred places, and sacred landscapes have not been protected. The Rights of Manoonim begin to address this inequality, and challenge the inadequacy of U.S. and Canadian legal systems. “Remember, at one time, neither an Indian nor a Black person was considered a human under the law”, Bibeau reminds us. “Legal systems can and will change,” and in the meantime, the Ojibwe move forward. Winona LaDuke is Anishinaabe, a writer, an economist and a hemp farmer, working on a book about the Eighth Fire and the Green New Deal. She is ready for the Green Path, and would prefer not to spend her golden years cleaning up the messes of entitled white men. LaDuke lives and works on the White Earth reservation in northern Minnesota, where she founded the White Earth Land Recovery Project. She is program director of Honor the Earth and a two-time vice presidential candidate with Ralph Nader on the Green Party ticket.